At Willow Glen Family Dentistry, we elevate our patients’ needs above our own. John Vu, DMD, and his team are dedicated to providing effective dental care for families in West San Jose. We treat individuals and their loved ones and provide emergency dentistry right when you need it. As a full-service general dental practice, patients can rely on us for all their oral health needs, whether they wish to improve the beauty of their smile or resolve dental pain. It is our mission to restore full dental function where patients are lacking it or to renew self-confidence when they are not proud of how their smile looks. Our dentist has over 15 years’ experience practicing dentistry. He has an artful eye and a gentle touch, both of which make his treatments effective. Dr. Vu focuses on resolving the source of your dental problem so it does not cause discomfort in the future. This comprehensive approach ensures patients leave the practice with a smile that works as it should. All in all, our dentist wants to help patients when discomfort is interrupting their daily life, and prevent these kinds of issues when their smile is healthy. Willow Glen Family Dentistry welcomes parents, children, and grandparents. We have procedures that address age-specific concerns, such as sealants for a child’s smile development or dental implants when seniors lose a tooth. No matter the patient’s age, however, we provide friendly assistance and do what we can to make everyone comfortable. We emphasize listening and responsiveness, taking special care when patients are in pain or have fear. Whether you have a dental emergency or need assistance with insurance paperwork, we are ready and willing to help our patients. Our dentist and team understand that a positive dental experience is crucial to supporting oral health, and do whatever we can to make every visit a pleasant one. We offer a light-hearted environment and have a relaxing décor for patients. Our large windows let in plenty of natural light which creates an open feeling. We are committed to treating patients safely and deliver care in a clean and well-organized space. 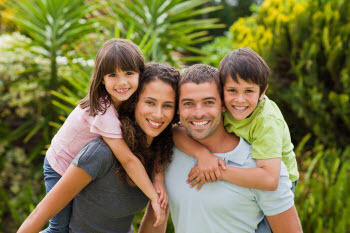 Our practice offers professional dental care to families in West San Jose and Willow Glen. We see children for their first appointment at the age of two and offer cost-effective examinations for all ages. Call us today to schedule a consultation!